But, you don't have to use fear – you can sell and market your business using love instead. And when you do that, you stop manipulating and twisting arms to get buyers, and instead start attracting, inspiring and inviting your ideal clients into your business. Ahhh -- doesn't that sound wonderful? 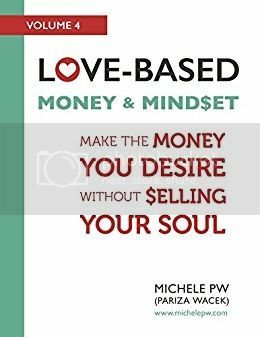 In this book, copywriting and marketing expert Michele PW (Pariza Wacek) teaches you the philosophy and the foundational principles behind selling with love versus fear – the same principles she's used to help her clients build their businesses over the years. Plus, she includes dozens of exercises so you too can easily implement love-based copy in your own business. Whether you're a seasoned entrepreneur or business owner or just starting out, you'll discover valuable tips and strategies around selling and marketing with love. And not only will you feel great about it, so will your ideal clients. 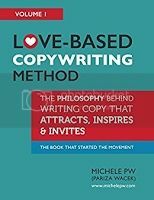 In Michele's first book, "Love-Based Copywriting Method," she walks you through the philosophy of love-based copywriting and explains why traditional copy and marketing feels so icky. 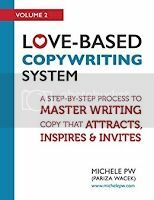 In this book, "Love-Based Copywriting System" she rolls up her sleeves and walks you though her exact system for writing copy that converts without feeling sleazy. You'll discover exercises, examples, templates and more -- in fact, it's designed to be a "copywriting course in a book." You'll get detailed, step-by-step teachings of everything from headlines to features and benefits to presenting your offer and more, so if you follow along and complete the exercises, by the end of the book, you've got your copy created. Also as a bonus, it included a free workbook! Well, that's all about to change. 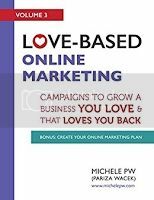 In Love-Based Online Marketing, Michele PW walks you through exactly how to create an Online Marketing Plan tailored specifically to you and your goals so you can grow a business you love AND that loves you back! And the best part, thanks to the Assessment included in this book, your Online Marketing Plan will be based around your Marketing Love Factor. This means you'll not only love your marketing (really! Even if you've always hated it before! ), but you'll also be empowered to market your business in the exact, perfect way for you. So if attracting, inspiring and inviting your ideal prospects to become ideal clients and customers without being hype-y, sales-y or slime-y feels like a breath of fresh air, this book may be exactly what you've been looking for. Along with being a copywriter, she also writes novels (in fact, she just published her first two psychological thriller/suspense/mystery novels called "The Stolen Twin" and "Mirror Image'") plus, she is also the author of the "Love-Based Copy" books, which are a part of the "Love-Based Business" series and cover both business and personal development.